Prince Harry & Meghan Markle ask guests to donate to a Mumbai Charity instead of showering wedding gifts! Prince Harry and Ms Meghan Markle are prepared to take a route less travelled. Being overwhelmed with the goodwill they have received since their engagement, they’ve asked all their guests to NOT gift them anything and instead donate to charity! The couple, who’ll get married on 19th May at St George's Chapel, in Windsor, have personally chosen seven charities which support areas that they are passionate about. 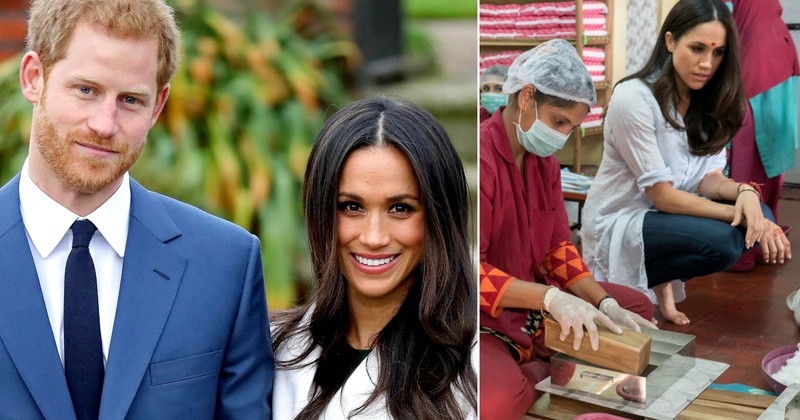 They’ve chosen a charity working for women in Mumbai's slums among a handful of organisations that will become recipients of donations in place of gifts for their royal wedding next month. Markle, who visited India in 2017, had met the founder of Myna Mahila Foundation, Suhani Jalota. The two had discussed about empowering and employing poor women in Mumbai. Markle had also listed Suhani, alongside Toni Morrison and Julia Roberts, among the ten women who changed her life. "Myna Mahila Foundation is honoured to be one of seven charities chosen to benefit from donations marking the wedding of Prince Harry and Ms. Meghan Markle," the foundation posted on its official website. The seven charities also include CHIVA (Children's HIV Association), the homelessness charity Crisis, Scotty's Little Soldiers which helps bereaved Armed Forces children, Street Games which uses sports to change lives, marine conservation charity Surfers against Sewage and The Wilderness Foundation UK, which promotes the enjoyment of wild nature. Kudos to this royal couple for revolving their wedding around such a great cause!